With mobile web traffic on the rise and mobile revenue surpassing traditional advertising channels, everyone is talking about mobile monetisation. So, what do you do if you are a website owner and you want to make money from your mobile traffic? What is mobile monetisation and how do you do it? When it comes to the internet, the definition is simple: monetisation is the act of making money from your digital presence. From premium memberships and subscription based services to digital content and e-commerce, there are many ways for entrepreneurs and website owners to earn revenue from their website. However, the simplest solution is advertising. Through advertising revenue, millions of websites are generating massive amounts of revenue from their visitors every day. Signing your website up to an advertising network (known as becoming a “publisher”) is fast and simple and allows webmasters and businesses to earn money from their websites. What I’m here to do is take the most common questions I’ve seen and answer them for you. Let’s go. How do I (a publisher) make money from adverts? In simple terms, publishers make money by displaying adverts on the pages of their website. The amount of revenue you can expect from becoming a publisher can vary based on the type of advert being displayed on your page. According to IAB’s 2013 Internet Advertising Revenue Report, the two most popular advertising models are performance (at 66% of all online adverts) and impression (at 33%). These two types determine what user interaction is required to deliver revenue. Impression adverts are passive. To earn money from them, a publisher only needs a user to load their page with the advert displayed. Impression adverts are bought by advertisers in the thousand, which is why they’re commonly referred to as CPM; Cost Per Mille, an old advertising trade term. Performance adverts are active. A visitor to the publisher’s site will have to interact with them to fulfil the advertiser’s criteria. The two most common performance advert revenue models are CPC (Cost Per Click) and CPV (Cost Per View). The definitions should make the terms pretty self-explanatory. A CPC advert requires a user to click on it. A CPV advert means a user has to watch a video advertisement. There are a whole range of other less common pricing models for performance adverts with acronymic names – CPS, CPT, CPL, CPA – but these aren’t something you need to worry about. Most ad networks will use a combination of impression and performance based adverts. The important thing for you, as a publisher, is to make sure your site receives traffic. And that you are integrating with an advertising network. As a publisher, you’re paid by the advertisers. Revenue is gathered from the adverts placed on your site. Every time a user fulfils the right criteria, you make money from the advertiser. This is true even if you implement adverts through a third party like an ad network. Your earnings are largely dependent on the amount of traffic your site receives. The more visitors you have, the more monetised pages they visit, the more advertisements are displayed, and (if the ad revenue is performance based) the more your visitors interact with the ads, all builds up to your total revenue. To aid this, you’ll want to build up a viable website audience and make your site as mobile ready as possible. How do I get the adverts on my site? You’ll see another acronym bandied about a lot when it comes to mobile web monetisation – SDK. This stands for Software Development Kit. If you join an ad network, you’ll usually have a SDK supplied to you on sign-up. It’s through this that you’ll be able to place, remove, and control the network’s advertisements on your site. The SDK should be easy to use and install if installation is necessary. For instance, AdSpruce‘s SDK is as simple as putting two lines of code onto the right page of your site. Your adverts will then be displayed automatically on load by the SDK, with all the images and script stored on the advertising network’s server. If you don’t use an ad network, the process will be more difficult. On top of approaching advertisers directly to garner interest in your site, you’ll also have to break down the advertising components and placements yourself. How do I find adverts for my website? Unless you feel capable of doing your own implementation and contacting advertisers directly, your best bet is an advertising network. Advertising networks are companies that act as a go-between for large corporations and publishers, bringing in adverts from the former and advertising space from the latter. For a mobile site you’ll be looking at finding a company that specialises in mobile web. The good thing is that they’re just as easy to find as desktop ad networks – a simple Google search for ‘mobile advertising network’ will bring back several hundred million results. With too much choice proven statistically to be a bad thing, stay away from the search results and try getting feedback from different areas. There are hundreds of forums on the internet where people can recommend their personal choices. 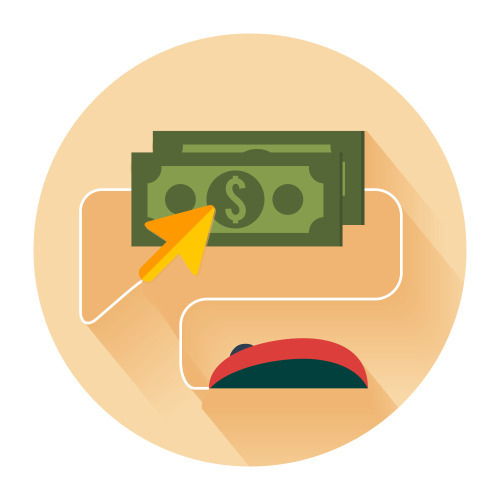 Chances are you know someone who has taken the dive into monetising their website, too. Ask them! You never know, their recommendation might lead you to a great company. In either case, take your time on your choice and make sure you research each option thoroughly. Aim for an ad network that provides quality content with brands relevant to your site. Many will have multiple categories for their advertisers, so make sure you match up with one. That covers the four most common questions I’ve seen when it comes to beginning monetisation. Mobile monetisation is a simple process that gets caught up in a lot of technical jargon. By using this post as a foundation, you should be able to understand the main process and find the perfect ad network to use for your monetisation purposes. Have another question or want some more information? Contact us through Google+, Facebook or Twitter. Find information on becoming a publisher with AdSpruce at www.adspruce.com.